House Paintings are now On Etsy! Today I got to see the yoga triptych I did hung up at SolshineYoga! 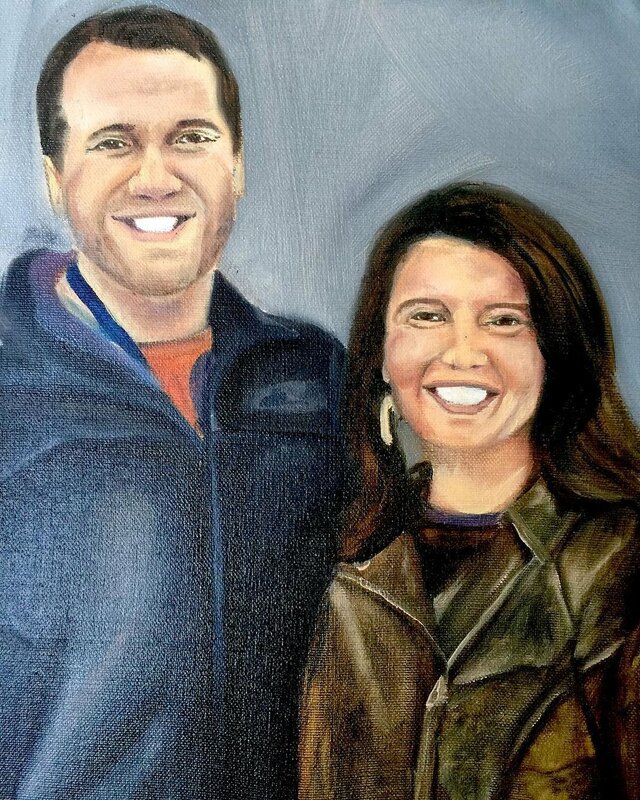 Today I began the first few layers of this couple portrait. Stay tuned to watch this one, and the others currently in the works, develop. Recently in the studio, I have a few underpaintings in the works. Stay tuned to watch them develop! Looking back on 2018, I decided to make a little video to sum up the year. Thank you to all who have commissioned and supported my art career in years past and in 2018. I look forward to the pieces to come and see what is in store for me in this new year! Enjoy the video! After too long of a holiday break - this girl is back to work. Four canvas prepped and sketched out to kick off the new year. Select paintings from my influx series are on sale for 50% off! Contact me for more information or visit the For Sale section here on my website. Sale ends on the 1st of the new year! Get the deals while you can!